loving. living. small. | live small with style: SPRING FEVER! Boy, do I have Spring fever!! I am all about colors colors colors flowers colors plants, did I say colors? We have a back entrance and landing right outside our little abode. I had been wanting to put something there for a while now since we have floor to ceiling windows and get awesome morning sunshine. 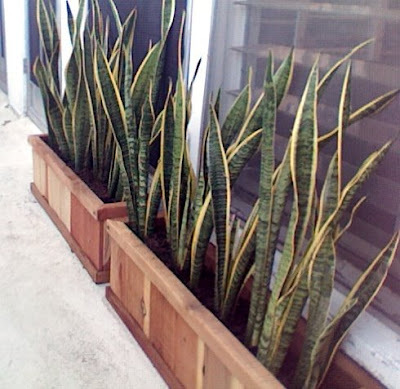 I found these beautifully simple redwood planters at Home Depot and got some pretty plants. I feel content. 0 Responses to "SPRING FEVER!"